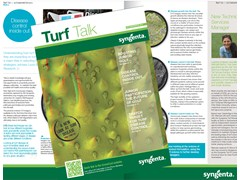 Read the new issue of Turf Talk packed with practical advice to help improve your turf management this winter, along with the latest results of the Syngenta player survey research to help build viable and sustainable golf businesses. Click here or on the cover image at the bottom of the page to download a copy now. Getting more young people playing golf is crucial to assure the long-term future for the game. 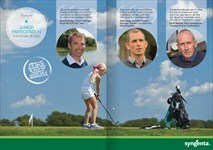 Golf has a huge amount to offer young players, but the perceptions of the game are too often negative. 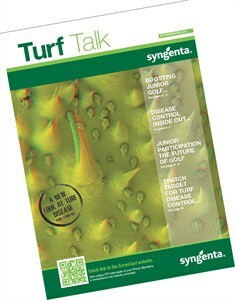 Syngenta research has found out what they actually think, and suggests ways courses could adapt to attract more to play. 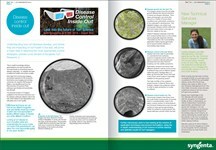 Disease Control Inside Out offers a fascinating new insight into what is physically going on inside the leaf when disease strikes. The powerful electron microscopy and 3-D imagery helps to give a clear picture of what needs to be done to tackle disease and prevent damage - and how best to use the tools to help achieve it. 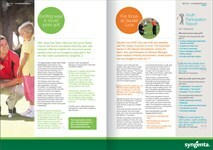 Find out how some golf clubs are successfully attracting more young people to the course - and what that means for the management of the clubhouse and for the course. Learning from the experience of successful clubs is a key to the new business Sustainability Drive between Syngenta and leading industry organisations. PitchFocus provided sports turf managers with a dedicated day to learn about some of the latest innovations and science or pitch management. The experiences of Leeds Headingley in preparing premier rugby and cricket pitches highlighted just what can be achieved, and how the knowledge could benefit others. Targeting disease spores in the thatch could help prevent damage to playing surface quality through the winter, and help to come out clean and green in the spring. 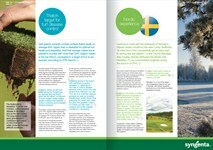 The experiences of Nordic greenkeepers have highlighted the savings in spring restoration costs, and the benefits gained from early play to generate income. Innovative Operation Pollinator environmental management at Hockley Golf Club is pioneering the restoration of valuable native downland - to the immense benefit of bumblebees and other insects, as well as the enjoyment and quality of the golf on offer to members. Glen Kirby gives some of his ideas and experiences. 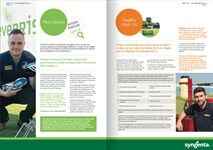 Click to download your pdf copy. For a printed copy to be posted to you, please email [email protected] and include your name and address.